Synopsis: Love was given to all, except herself . . .
My Review: I really enjoyed The Good Daughter! This is the second book in the Brennan Sisters series, but can be read as a stand alone. I really liked Kit in the first book, The Good Woman and was so excited she was the main focus of The Good Daughter! Kit is the daughter that is known as being the one that always makes the right decision, the peace keeper in the family, does the right thing.....the good one! But we find out Kit has a secret side too! While away, she walks on the wild side and she knows her family will not approve. Keep in mind Kate is single, forty and wants to be a mother. Kit also struggles with her mother losing the battle to cancer. Be prepared to have some kleenex near by. There are other twists and turns in the book regarding a student, that I didn't see coming. 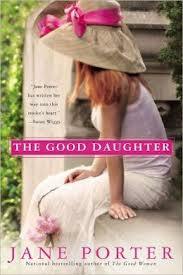 The Good Daughter is a quick read that was very enjoyable! Perfect for weekend read. Purchase It: You can purchase The Good Daughter online at Amazon for $15.00 (Kindle version $9.99). 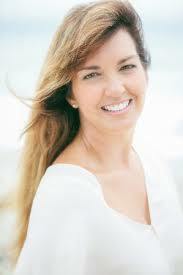 I have Jane Porter on my facebook page. She's a wonderful author.